Dr. W. Franklin Evans, the ninth president of Voorhees College, will deliver the keynote address. Prior to his presidency at Voorhees College, Evans served as the interim president of South Carolina State University, where he also served as the provost and chief academic officer. Under Evans’ leadership at South Carolina State, enrollment exceeded its goal, fundraising increased by 687 percent, alumni support improved and the university achieved a balanced budget. With more than 25 years of higher education experience, Evans is well-versed in leadership and supervision in all academic programs and curriculum development, faculty recruitment, enrollment management, strategic planning and accreditation. 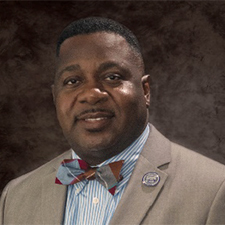 Evans also previously served as the vice president of academic affairs at Virginia Union University, where he led the institution through a successful reaffirmation of accreditation. Evans was also instrumental in establishing an honors college, a Bachelor of Arts in fine arts and a master’s in education. Evans also previously worked at Elizabeth City State, J.F. Drake State Technical College, Alabama Agricultural and Mechanical University and Tennessee State University. Prior to his work in higher education, Evans worked in Atlanta as a high school teacher, department chair and principal. Evans earned a doctoral degree in higher education administration from Georgia State University. Evans also earned a degree in journalism, middle childhood education, curriculum and instruction, as well as administration and supervision from Georgia State. Evans earned a bachelor’s degree in entomology from the University of Georgia. Evans is involved in many organizations including the NAACP, the Black Family Preservation Group, the National Association of Black School Educators and Toastmasters International. Evans is a life member of Alpha Phi Alpha Fraternity, Incorporated and a member of Sigma Pi Phi Fraternity – Delta Chi Boule. Evans has served on the boards of the Sickle Cell Association, the Boys and Girls Club, the Kiwanis Club International, Edisto Habitat for Humanity and the AIDS Action Coalition. Evans is also an ordained minister with the Church of God in Christ.